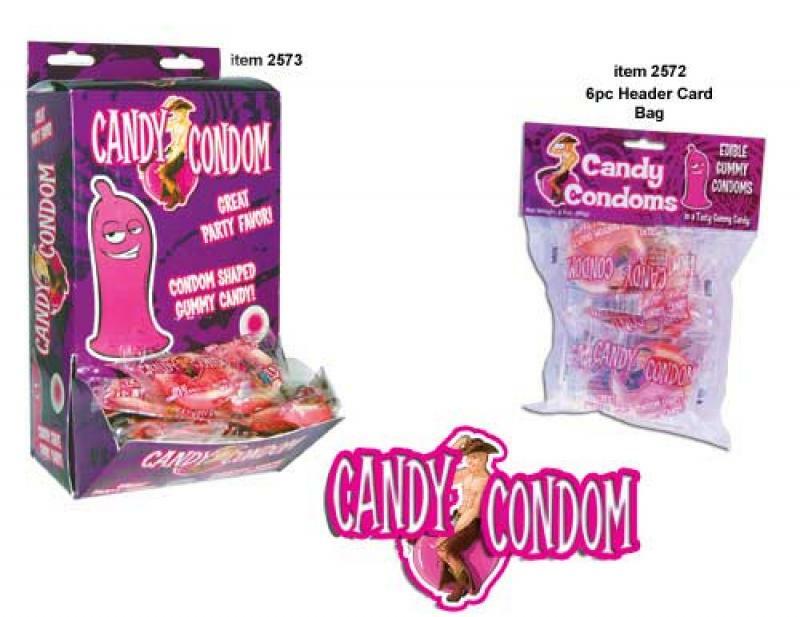 Candy Condoms with header card make a great party favor. Six pieces per bag. Condom shaped gummy candy. Edible candy condoms. Now you can enjoy Condoms in a whole new way with these great tasting Candy Condoms! Your friends or party guests will be taken by surprise when you hand them one of these fun little gummy treats that are fun to eat! Candy Condoms from Hott Products Unlimited. As shown on the right side of the image. New image added January 29, 2013.